We have just had our first big blizzard—the kind where everything stops and people get sent home early and swimming lessons get cancelled. There is something so magical about the hush after a snow fall. When I went to get my kiddos from daycare (sled and hiking backpack at the ready! ), the teenager across the street was shoveling the sidewalk in front of his house. When I came back, he was still at it, halfway up the block, shoveling everyone out. He was at it for hours, totally unbidden, just helping out his neighbours. May we all have a little bit of Owen inside us this winter. There is a park just south of my house that the neighbours flood into a skating rink each winter. It’s been so balmy I didn’t think it would ever turn, but the temperature dipped, and there are people out skating every single day. I can’t think of anything more quintessentially Canadian. 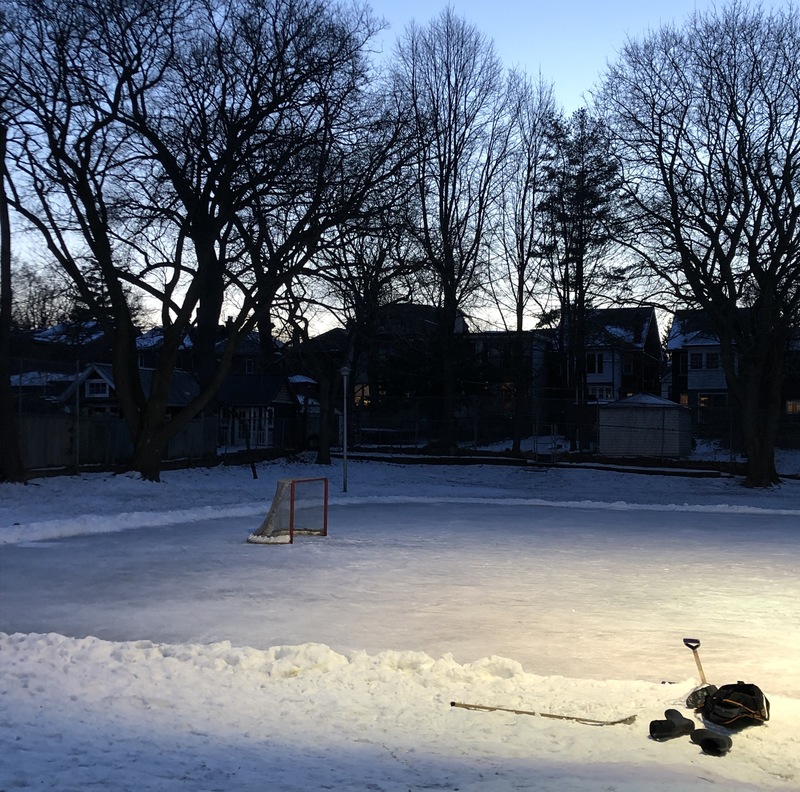 I don’t skate, but my newly-hockey-obsessed-4-year-old has just started and my placemaking heart grew 18 sizes watching him skate on the rink on the same street as our home while my almost-2-year-old cheered on a bunch of kids play shinny. I get that it’s not as easy to love where you live in the winter as it is during the summer. It requires a lot more layers. And, if you have young kids, a lot more patience. BUT, there is something so magical about being out in the world in the winter. My trick to loving winter? ADULT SNOWPANTS! 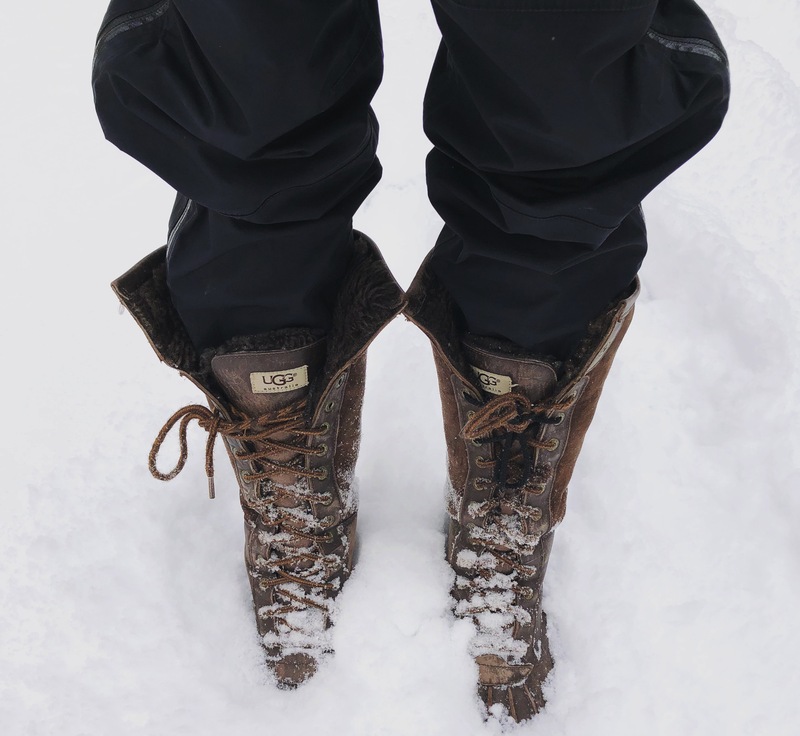 If you are not yet on#teamsnowpants, may I recommend a listen to my love letter to snowpants I recorded a while back for the CBC? You can listen here. Swish swish swish. AND, once you’re suited up in snowpants, get out your thermos, dig out that picnic blanket, and be sure to go on a winter picnic. (Pro-tip: if it’s really cold, put a thermarest under the picnic blanket — COZY TOWN!) You can listen/watch my love letter to winter picnics on the CBC here!